Sunday 16th July, saw the historic moment when the EGLSF organised the first ever Euro Pride House for a women’s European football championships. This project initiative is under the “Erasmus+ project, “Queering Football”. The event took place at the Bodytalk bar in Utrecht, the radiant and vibrant heart of the Netherlands. The evening was officially opened by Karin Blankenstein, founder of the John Blankenstein Foundation. Karin said “The time is now to celebrate women in sport, and especially women in football.” The evening also marked the launch of the “Human Rights and Mega Sports Events handbook, which addresses the human rights risks in the context of mega sport events and how to prevent them. The Opening was followed by a presentation of the Erasmus+ project “Heroes of Football”, who recently welcomed two more heroes to the project, Kassandra Missipo and Lowiese Seynhaeve, from the Under 19 women national youth team of Belgium. The evening was well attended by various football enthusiasts from Europe, representatives from the Ministry of Sport, and it proved an exciting start to the Euro Pride House activities, especially as the home team won 1-0. The 2nd match will be held this evening in Utrecht, and there will also be a live transmission of the England V Scotland game in the Bodytalk, so please come by and join the fun. The match starts at 8:45pm. What is Pride House International? Pride House International is a coalition of LGBT sport and human rights groups, including participants in past and future Pride Houses, united to promote the cause of equality in and by sport. This is achieved, in part, through the creation of Pride Houses at large-scale international sporting events such as the Olympics, the Commonwealth Games, the Panam/Parapanam Games, The UEFA European football Championships and the World Cup. What is Euro Pride House 2017? Check out the whole program on www.facebook.com/EuroPrideHouse. 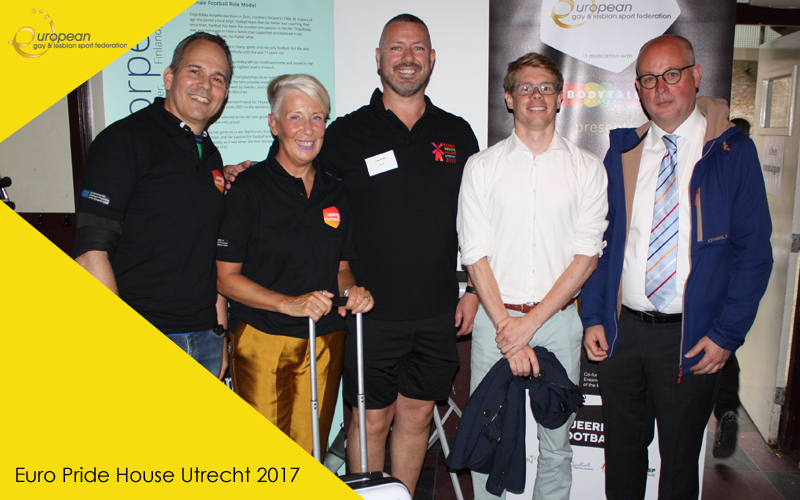 These events will be co-ordinated on the ground by the EGLSF, The John Blankenstein Foundation, with support from the VIDC, Pride House International, Leap Sports and The Royal Belgian Football Association. Beneath this also a lot of anti-discriminatory fan activities will take place in the framework of the Respect Fan culture initiative of the network Football Supporters Europe (FSE). Watch out the activities on: www.facebook.com/FSE.AllColoursAreBeautiful. All these activities are part of the project “Queering Football TACKLING HOMOPHOBIA AND PROMOTING ANTI-DISCRIMINATION AROUND MAJOR SPORT EVENTS” co-funded by the European Union under the Erasmus+ Sports program and coordinated by fairplay-VIDC, an anti-discrimination initiative based in Vienna. 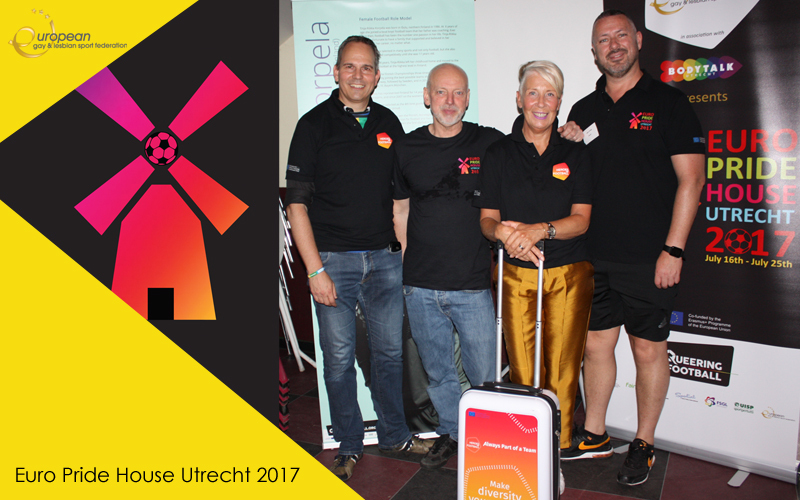 The project aims at using the UEFA EURO 2017 in The Netherlands as a pan-European communication platform to tackle discrimination and hatred. 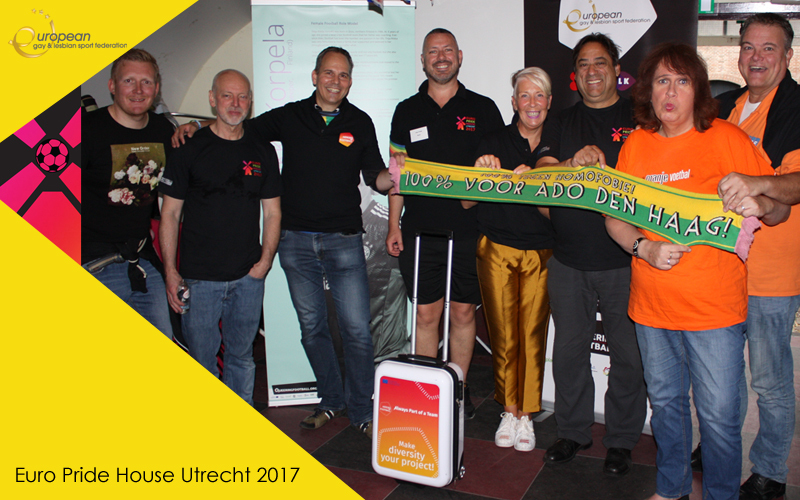 The anti-homophobia measures in The Netherlands will serve as an example for upcoming major sport events to ensure that questions of inclusion, equality and minority rights are on the agenda. Hence, anti-discrimination activities should be a precondition if a country/city is going to host a major sport event. One main output of Queering Football is a handbook on fundamental rights and anti-discrimination standards in the context of mega sport events.